What is love? Popular culture bombards us with notions of the intoxicating capacities of love or of beguiling women who can bewitch or heal—to the point that it is easy to believe that such images are timeless and universal. Not so, argues Laine Doggett in Love Cures. Aspects of love that are expressed in popular music—such as “love is a drug,” “sexual healing,” and “love potion number nine”—trace deep roots to Old French romance of the high Middle Ages. A young woman heals a poisoned knight. A mother prepares a love potion for a daughter who will marry a stranger in a faraway land. How can readers interpret such events? In contrast to scholars who have dismissed these women as fantasy figures or labeled them “witches,” Doggett looks at them in the light of medical and magical practices of the high Middle Ages. Love Cures argues that these practitioners, as represented in romance, have shaped modern notions of love. 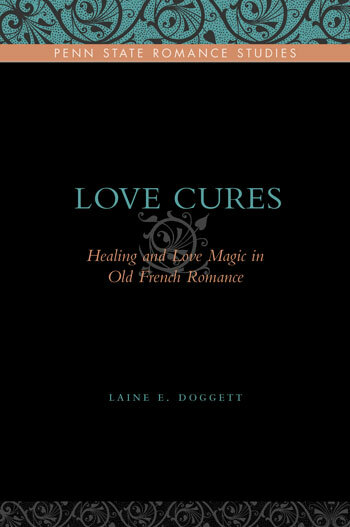 Love Cures seeks to engage scholars of love, marriage, and magic in disciplines as diverse as literature, history, anthropology, and philosophy.